I know recipes have never really been a thing on the blog, but I had so much fun putting together my cookie swap post, I couldn’t resist. 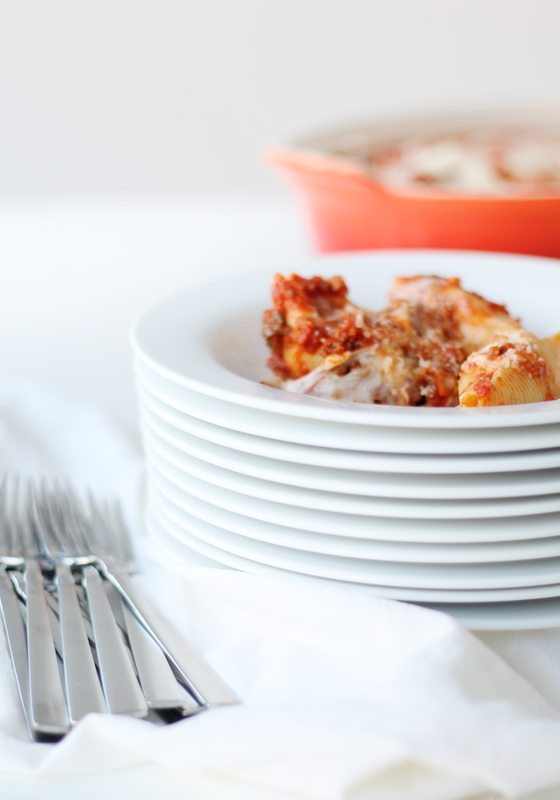 The thing I love most about this particular stuffed shells recipe is that it feeds a small army…and that’s a good thing, cuz the neighbors popped over when they saw my kiddos outside. This recipe fed 4 hungry adults (unfortunately my picky eaters wanted nothing to do with it), and I still had leftovers for 2 days. 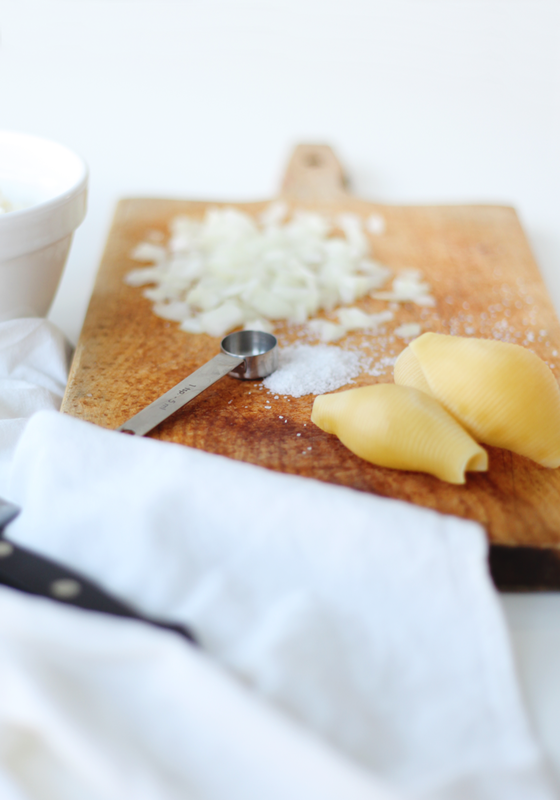 Cook pasta shells to package directions. Drain and set aside. In a skillet, brown the ground beef and add onions. Season with salt and pepper to taste. Add garlic, tomatoes, basil, oregano and spaghetti sauce. Cover and let simmer. 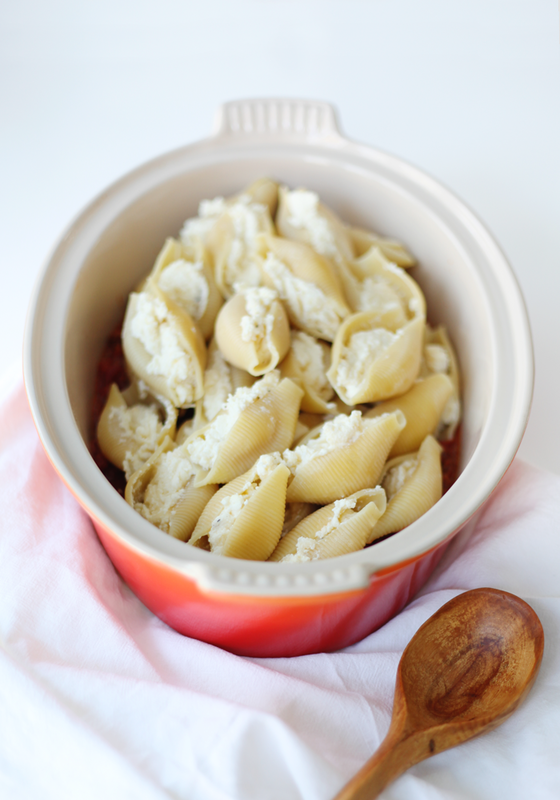 In a separate bowl, combine ricotta, mozzarella, parmesan, and egg. Salt and pepper to taste. Mix thoroughly. Spray casserole dish with cooking spray and cover the bottom of the dish with the meat sauce. Used a spoon to scoop the cheese mixture into eat shell and layer them over the meat sauce. Pour remaining meat sauce over the stuffed shells. Top with the remaining 1/4 cup shredded mozzarella. That’s it! My stuffed shells recipe is easy peasy, right??? 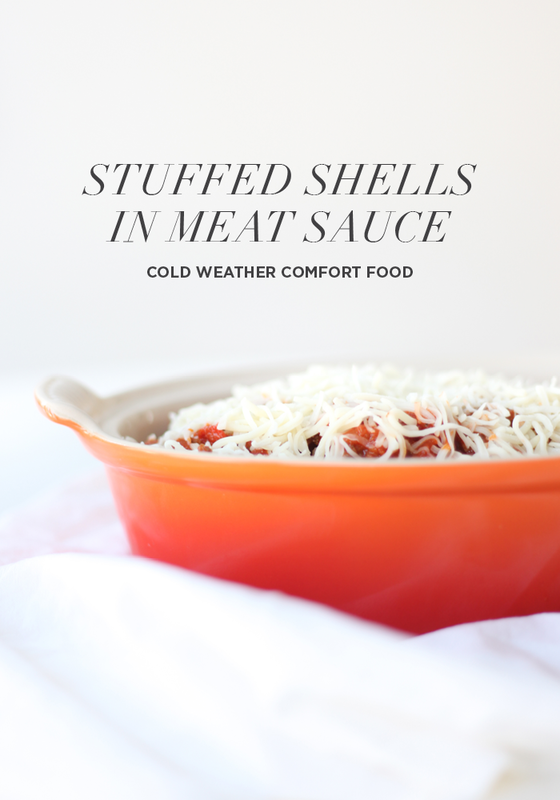 Tonight we’re supposed to get another 6″ of snow…so I might have to whip up this recipe again.